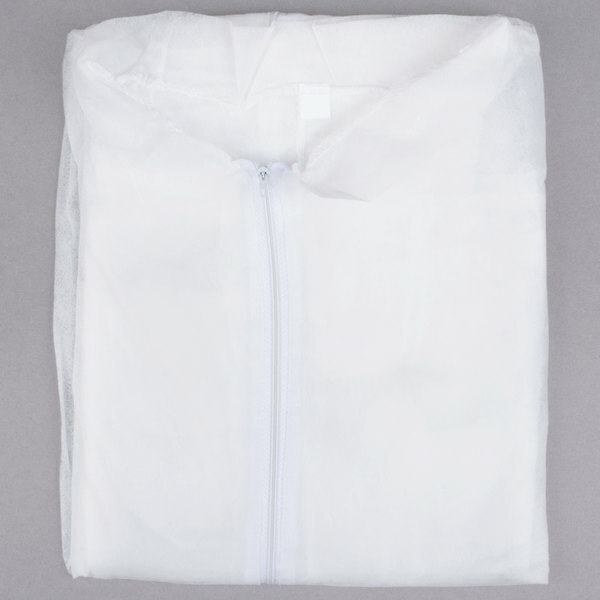 Keep your employees' skin and clothes protected with these white economy disposable polypropylene coveralls. 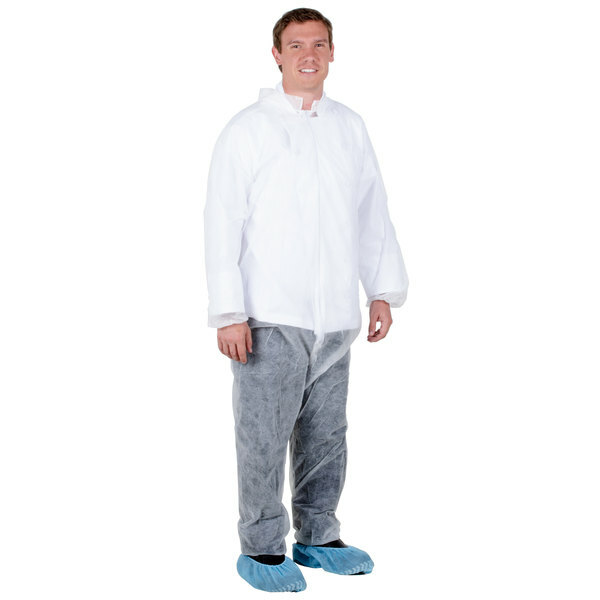 Made of polypropylene, these XL coveralls offer ample protection from non-hazardous material like dirt, dust, and grime, often found in a variety of industrial applications. Their economy weight also offers a cool, breathable alternative to traditionally bulky coverall suits with the convenience of disposability. As a light weight yet effective barrier, these coveralls feature a collared neckline for extra protection, while the elastic wrists and ankles allow for a snug fit. 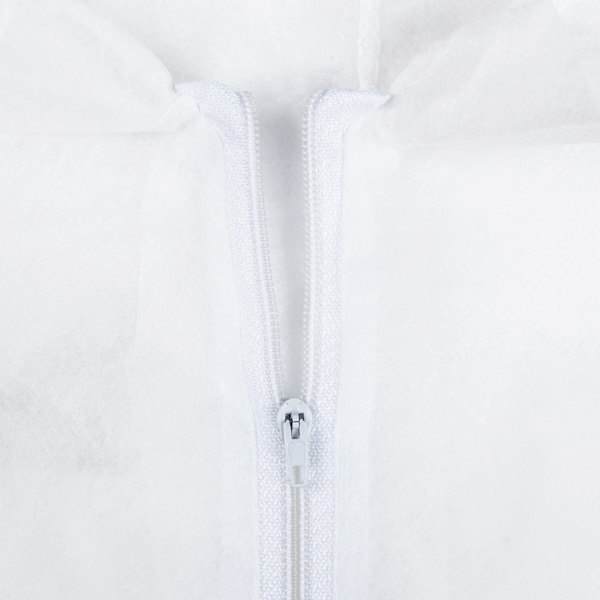 Additionally, the front zipper helps provide a secure closure. 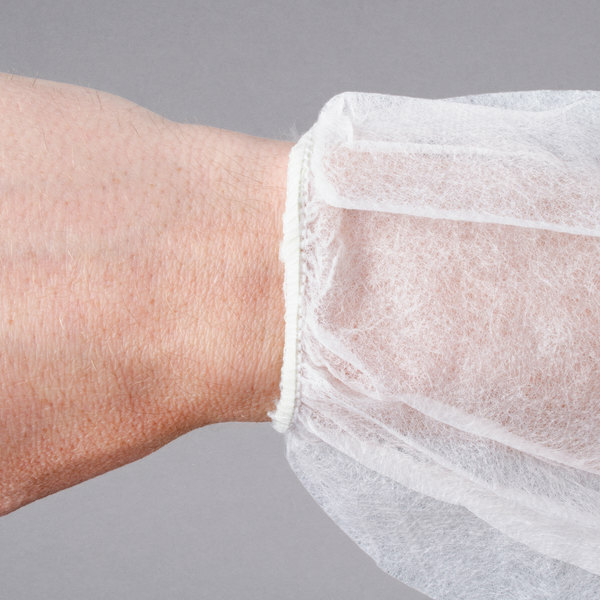 Use them wherever a dry particulate barrier or repellency is needed. I'm 5''9' and these XL coveralls are a little baggy on me, but they're super soft and comfortable. They offer a much needed layer of protection between paint splatter and your clothes. A bit thin - some of them tore when being put on (due to shoes). Not able to keep out all of the water and sauces, but worked ok when dealing with dry food. These coveralls were a tad disappointing because they were not as durable as I was expecting. They are great as a one time use but that is all. These disposable coveralls are made of polycarbonate and are overall much better than I anticipated. The slip on very easily and this particular size is xl and fits larger folks comfortably.